We enjoyed our beach front room. The views were spectacular and the food good. The Location was amazing. The staff was friendly and food was anazing. 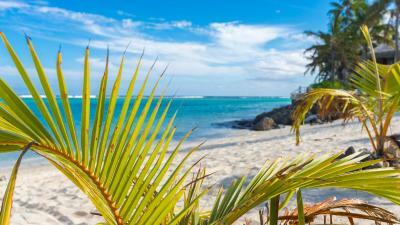 The location on the beach is perfect, great snorkelling right out front. 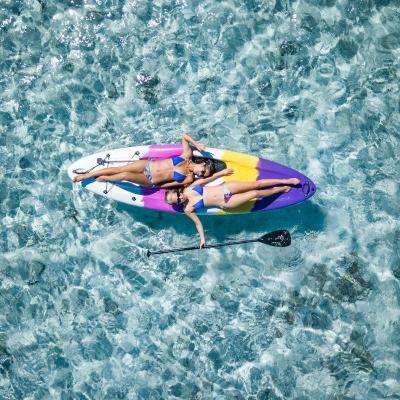 There are free snorkel gear, paddle boards, kayaks available for use by guests. Breakfast was decent. Location was right on the beach. 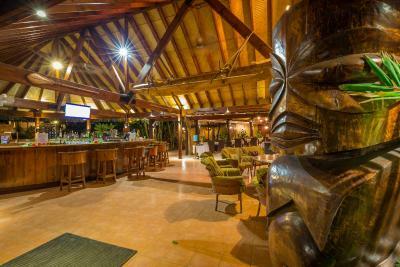 But this is not unique to this resort on the Cook Islands. Comfy bed, great view from our upstairs room, food excellent. 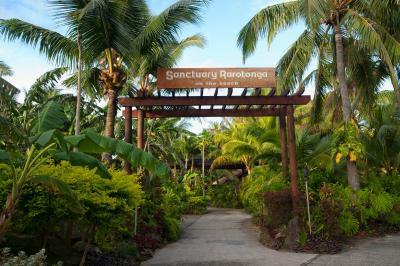 Sanctuary is attached/part of the Rarotongan but is the adult only section. 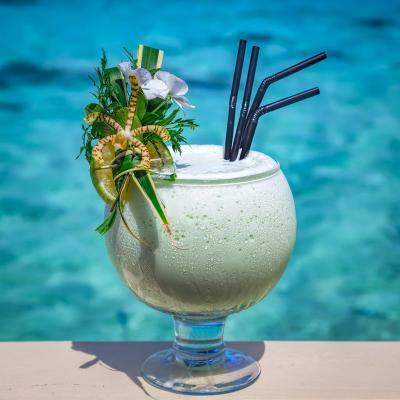 It has it's own little beach, restaurant and bar. 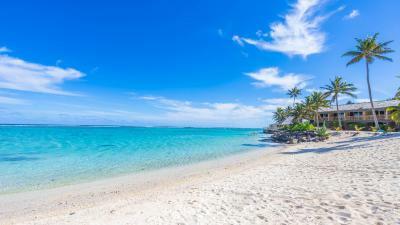 The beach was lovely for relaxing, kayaking, snorkelling and SUPing in the day but sunbeds are limited so a little planning can be needed. 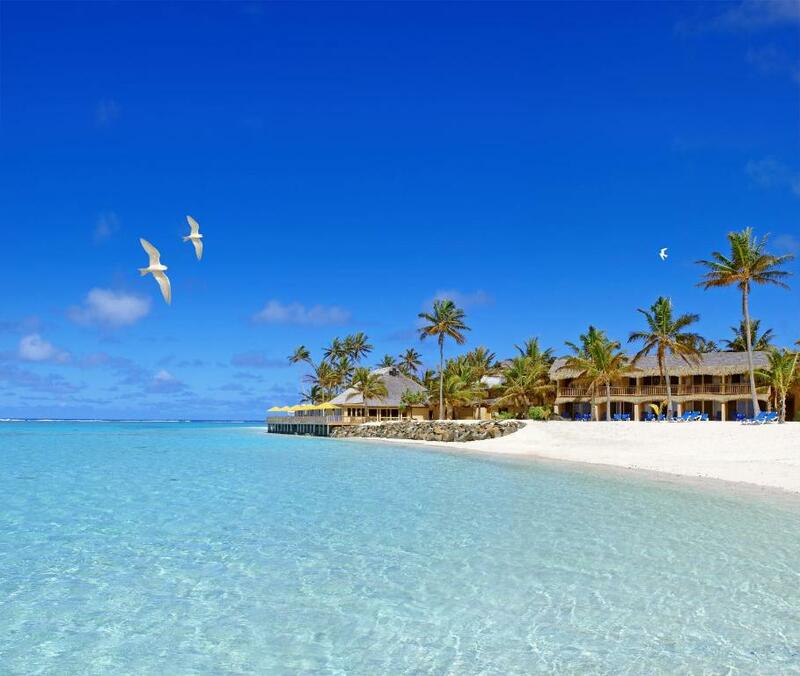 Location and beach very good. Had to be on beach early to get lounger and we did but others missed out. 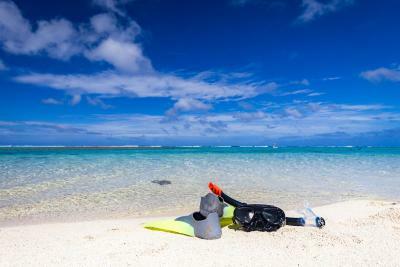 All equipment for snorkeling, paddle boarding and kayak available, including wet shoes. Time limit but ok. Helpful staff. 2 ways to cool self in room we used fan. Could use Rarotongan facilities. Beach views. 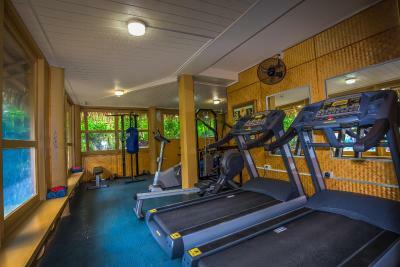 Sanctuary Rarotonga on the Beach (Adults Only) This rating is a reflection of how the property compares to the industry standard when it comes to price, facilities and services available. It's based on a self-evaluation by the property. Use this rating to help choose your stay! 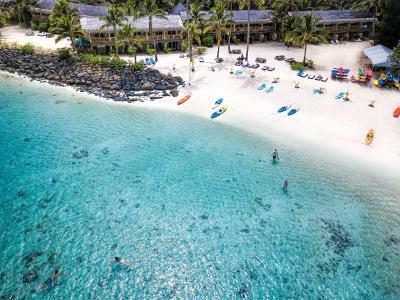 Sanctuary Rarotonga on the Beach offers adults-only boutique accommodations, located on the southwest coast of the island of Raratonga. 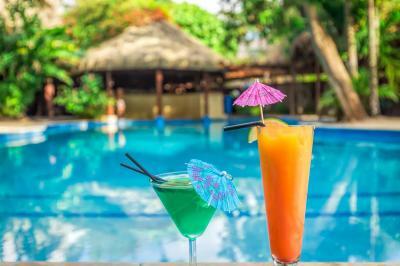 It features a pool with a swim-up bar and an on-site restaurant, BlueWater Grill, where you can dine on gourmet cuisine. 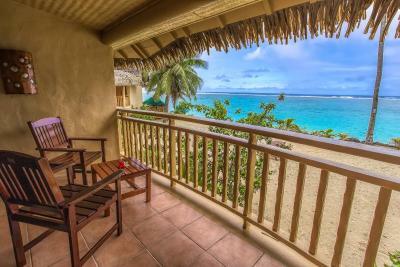 Each suite at this beachfront property offers a private balcony where guests can enjoy views over the lagoon. 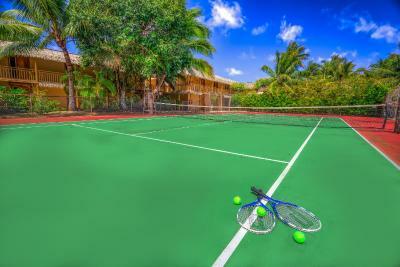 All suites include an extra-large king size bed and flat-screen TV with satellite channels. 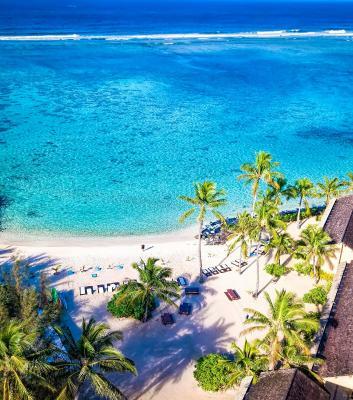 Guests can enjoy snorkeling at Aroa Lagoon Marine Reserve which is known for being one of Rarotonga's best snorkeling spots, at any tide. 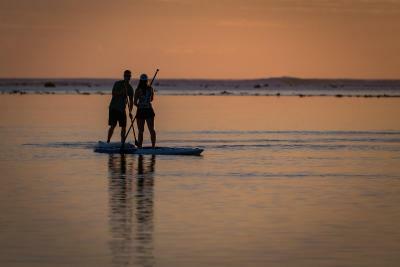 The resort also offers complimentary standup paddle boarding, kayaking and an extensive daily activity program. 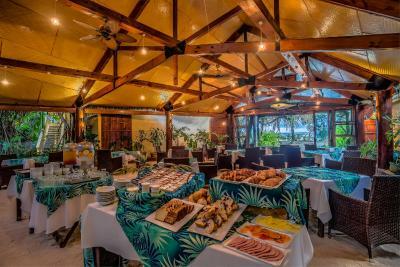 Guests of Sanctuary Rarotonga are able to enjoy the use of all facilities and services at the adjacent resort, The Rarotongan Beach Resort & Spa. 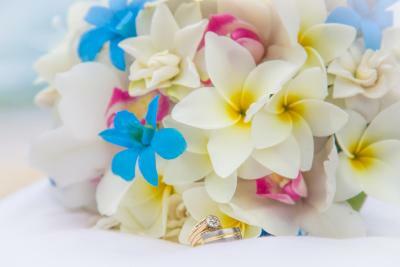 The property also features an on-site personal wedding planner. 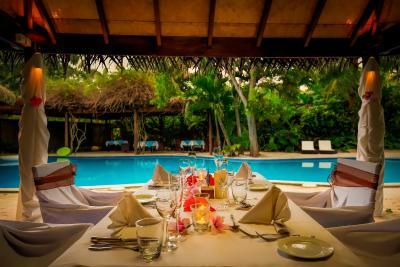 The resort is close to all island adventures, excursions, restaurants, markets, shops and cultural attractions. 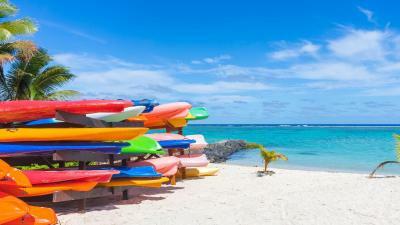 Avarua town is 6.8 mi from Sanctuary Rarotonga on the Beach and Rarotonga International Airport is a 14-minute drive away. 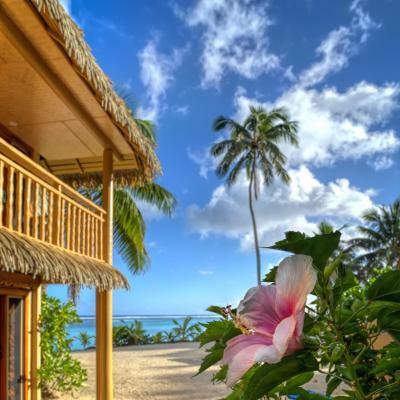 Rutaki is a great choice for travelers interested in sunsets, beaches and snorkeling. 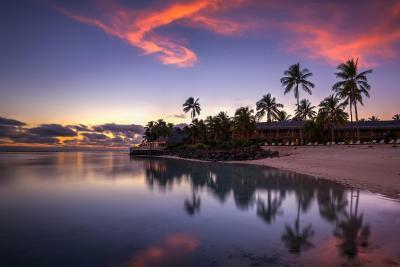 When would you like to stay at Sanctuary Rarotonga on the Beach (Adults Only)? 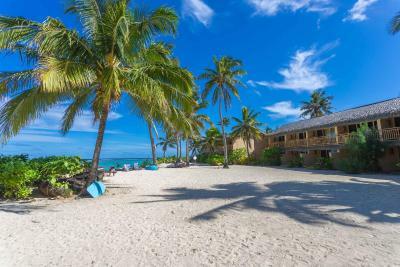 Beachfront Suites are located directly on the white sands of Aroa Beach with partial lagoon views and direct access to the Aroa Lagoon. They boast a tiled bathroom with black pearl accents, a spacious curved glass shower and rain-tree vanity top with designer porcelain basin, rattan-lined walls, hand crafted lighting and artwork, rattan furniture, tropical kauri wardrobe, sofa and an indoor-outdoor flow through wide-opening sliding doors. 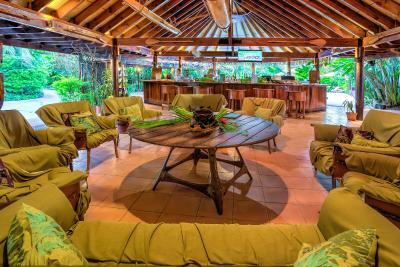 These stylish absolute-beachfront Suite's offer snorkeling in Aroa Lagoon Marine Sanctuary at your door. The Honeymoon Spa Suite features a private outdoor Jacuzzi, steam room, sauna and Vichy Shower. 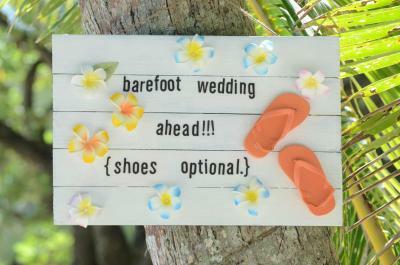 Please note the Honeymoon Spa Suite is a private suite that is not located on the beach and does not have lagoon views. 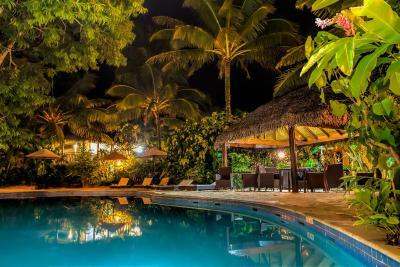 Beachside Suites are located directly on the white sands of Aroa Beach with partial lagoon views and direct access to the Aroa Lagoon. They boast a tiled bathroom with black pearl accents, a spacious curved glass shower and rain-tree vanity top with designer porcelain basin, rattan-lined walls, hand crafted lighting and artwork, rattan furniture, tropical kauri wardrobe, sofa and an indoor-outdoor flow through wide-opening sliding doors. 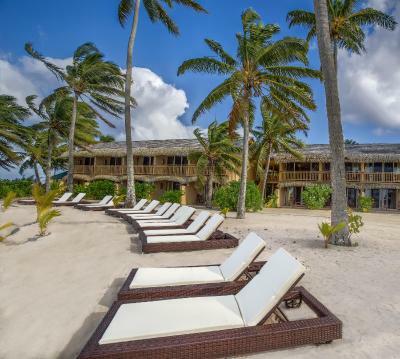 These stylish absolute-beachfront Suite's offer snorkeling in Aroa Lagoon Marine Sanctuary at your door. 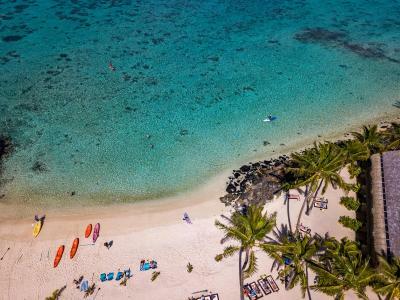 Area Info – This neighborhood is a great choice for travelers interested in sunsets, beaches and snorkeling – Check location Great location - show map Guests loved walking around the neighborhood! 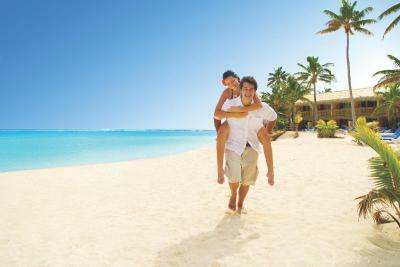 WiFi is available in all areas and costs NZD 10 per hour. 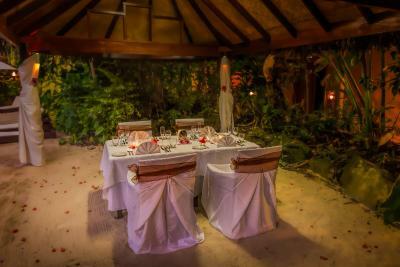 House Rules Sanctuary Rarotonga on the Beach (Adults Only) takes special requests – add in the next step! 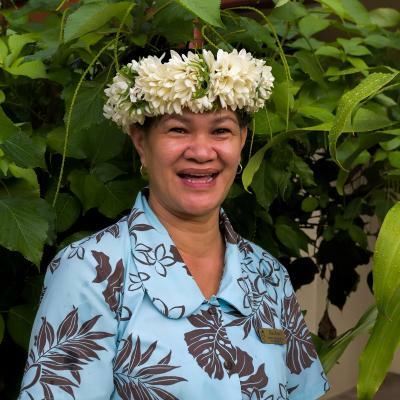 Any additional adults are charged NZD 95 per night for extra beds. 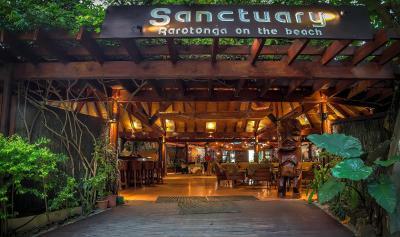 Sanctuary Rarotonga on the Beach (Adults Only) accepts these cards and reserves the right to temporarily hold an amount prior to arrival. 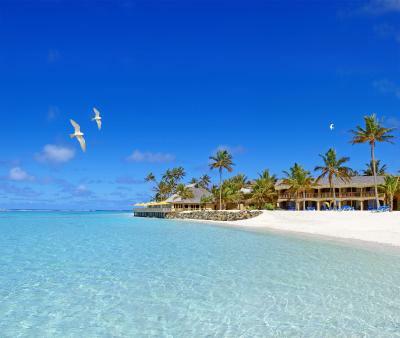 Please let Sanctuary Rarotonga on the Beach know your expected arrival time and flight details. You can use the Special Requests box when booking, or contact the property using the contact details found on the booking confirmation. 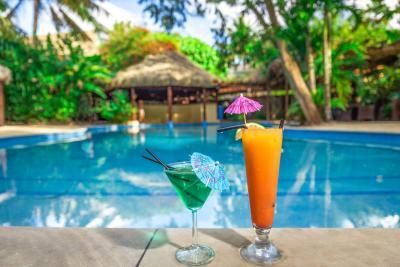 Please note that it is strongly recommended that guests purchase appropriate travel insurance to cover any unforeseen circumstances relating to your stay. 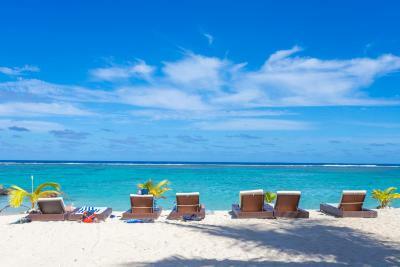 Please inform Sanctuary Rarotonga on the Beach (Adults Only) of your expected arrival time in advance. You can use the Special Requests box when booking, or contact the property directly using the contact details in your confirmation. No bacon and eggs as part of the breakfast buffet! More flexibility around late check-outs (there were lots of rooms free). 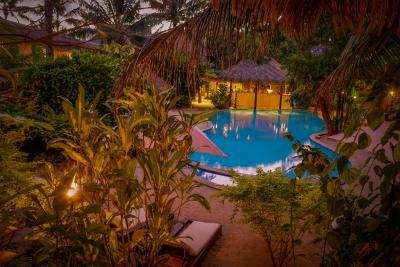 It wouldve been good to have the pool closer to the lagoon or an infinity pool. 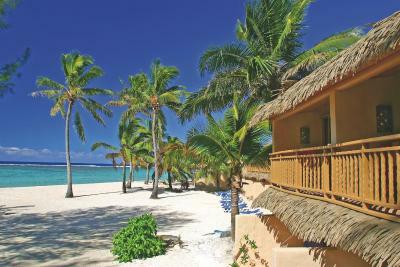 Architecture of the rooms, friendliness of the staff, activities/gear available to use, views from the room, location. The pool is not very inviting. Amazing lagoon for snorkelling with heaps of gear to use. 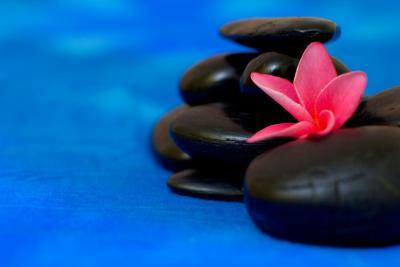 Great atmosphere and very relaxing. We stayed in the adults only section and it was nice that it was very separate from the family side, although easy enough access to venture over there if we wanted to. Everything was first class. 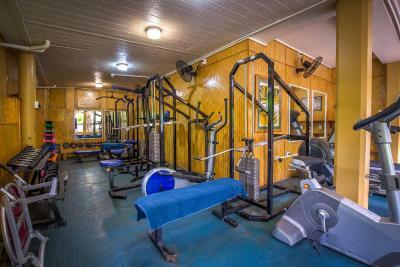 The staff , the facilities, the location. I wasn’t given my $100 deposit refund after leaving which I was told only takes up to seven days to get back. I have chased it up for 3 weeks emails and phone calls and still not given it back. We enjoyed our stay but this put a dampener on it. I don’t think I’ll go back to be honest. The accommodation is tired and rundown and could do with some basic maintenance and a thorough clean. Staff are reasonably helpful but lack leadership and direction and as a result just go through basic daily routines with a complete lack of enthusiasm and initiative. House cleaning is a random lottery some days you get it and others you don’t. 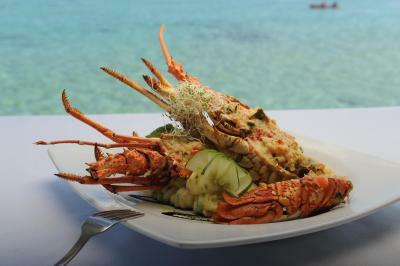 Meals are adequate but service is slow there are 2 restaurants but the menu is the same. 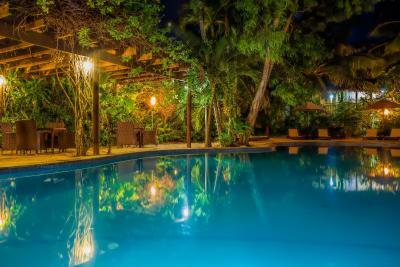 The location is fantastic right on the marine reserve with great swimming, snorkeling and kayaking opportunities. Housekeeping not up to scratch for this type of resort. 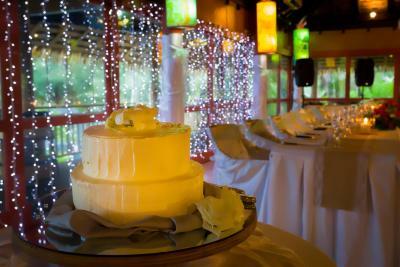 Some of the reception staff were incredibly rude, we were made to feel like we were a bother. Also, if you’re going over public holidays your room won’t get cleaned, even on request. We were expecting a bit more lively atmosphere in the hotel. The staff was very nice but kind of uninterested, we kind of felt like we were in a retirement home. Rooms were pretty average, most staff were very disengaged, no cultural entertainment at all, bars were pretty much deserted.